Isn't that a beautiful phrase! 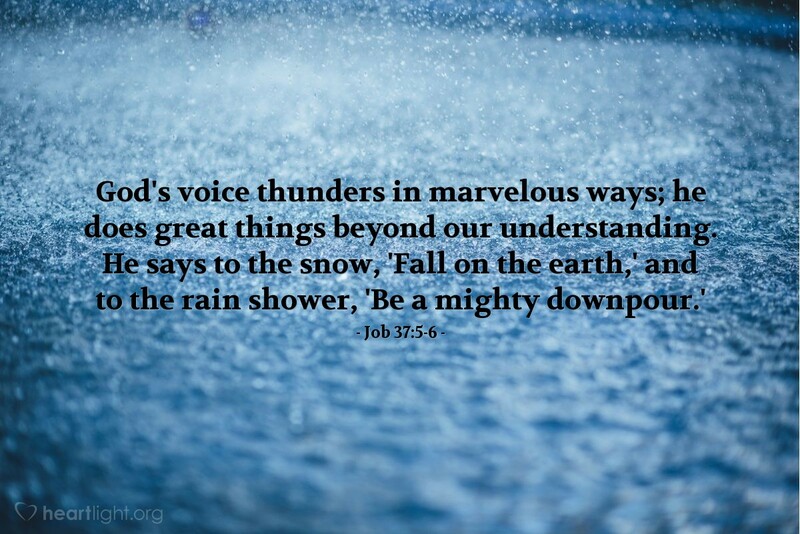 "God's voice thunders in marvelous ways; he does great things beyond our understanding." Rather than spending a lot of time talking or thinking about how marvelous God is, let's praise him in prayer. Holy, Righteous, and Eternal God! You alone are truly and fully holy. I cannot but comprehend the distant outskirts of your ways, but I love you. You are so far beyond me on my best days, I can't quite understand why you would pay such a cost to redeem someone like me. But, Dear God, I thank you and praise from the bottom of my heart. In Jesus' name. Amen.